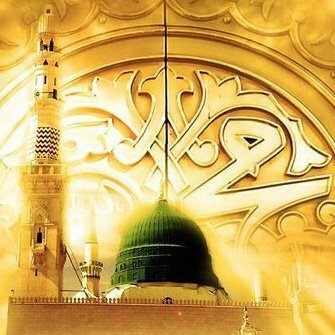 If any one who recites in the month of Rabi-ul-Awwal one hundred and twenty five thousand times any one of the following 2 Duroods Will certainly see the beloved Rasool Salla Allahu ta’ala ‘alayhi wa Sallamin a dream Inshallah. Fasting on the First of Rabi ul Awwal is also recommended. After Zuhar namaaz read the follwing nawafils. 2)Pray 2 rakats nafil namaz. In each rakat after Surah Fateha, pray Surah Muzammil Sharif once. After the namaz, offer its sawab to our beloved Prophet Salla Allahu ta’ala ‘alayhi wa Sallam. Then go into sijdah position and pray for fulfilment of your needs. Insha-Allah the wishes will be granted. Some acts to be carried out on 12th Rabi ul Awwal Eid Milad Un Nabi Salla Allahu ta’ala ‘alayhi wa Sallam. * stay up all night and recite the Quran/ darood shareef and attend mehfils. Throughout this month reciting of darood shareef in abundance carries great virtues/sawaab inshallah. 1. Some people say that it is Bid’ah (innovation) to read the Durood Shareef before and after the Azaan. 2. The Ahle Sunnah Wal Jama’at believes that it is permissible to recite the Durood Shareef before and after the Azaan. This is a current practice in many of the Arab countries. 4. The Holy Prophet Muhammad (sallal laahu alaihi wasallam) said that when we hear the voice of the Mu’azzin, we should repeat whatever he has said and then send Durood Shareef upon him. He said that the person who sends one Durood upon him, Allah Ta’ala will send ten mercies upon that person. (Sahih Muslim, Al-Qaulul Badi) In this Hadith Shareef, proof is found here that the Holy Prophet (sallal laahu alaihi wasallam) asked us to recite the Durood Shareef after the Azaan. 5. 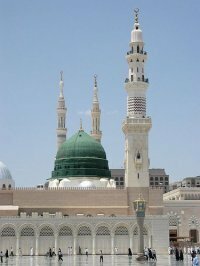 The Holy Prophet Muhammad (sallal laahu alaihi wasallam) said: “If, when performing any good deed you do not commence with the praise of Allah and send Durood upon me, then that deed is empty of blessings.” (Al Jaame Sagheer) Which Muslim is there who does not consider the Azaan to be a good deed?